Aladdin made these G202 desk lamps in 1949. It's 24" tall. It's in great shape. Thanks for looking. Cambridge Glass Company made 2 Kids. This flower frog is in great shape. Thanks for looking. 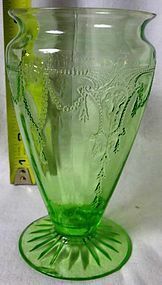 Co-Op Flint Glass Company made this vase. There are no chips or cracks in the glass. Thanks for looking. Aladdin Mantle Lamp Company made this pair of bookends. There are no chips or cracks in the glass. Thanks for looking. Samovar Blue 14.5" Tall 8" x 6"
Aladdin Mantle Lamp Company made the Quilt in 1937. There are no chips or cracks in the glass. Thanks for looking. 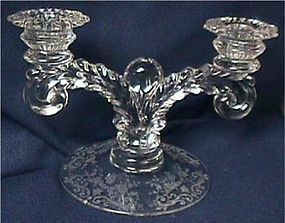 Aladdin Mantle Lamp Company made this candlestick pair. There are no chips or cracks in the glass. Thanks for looking. Cambridge made Chantilly from the late 1930's-mid 1950's. This a picture of the Candlestick. If you need a picture of the pitcher, please let us know. It's in great shape. Thanks for looking. 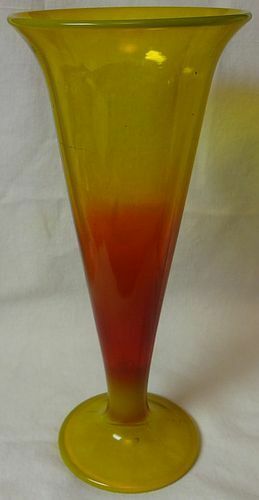 Heisey Glass Co. made Warwick from 1933-57. 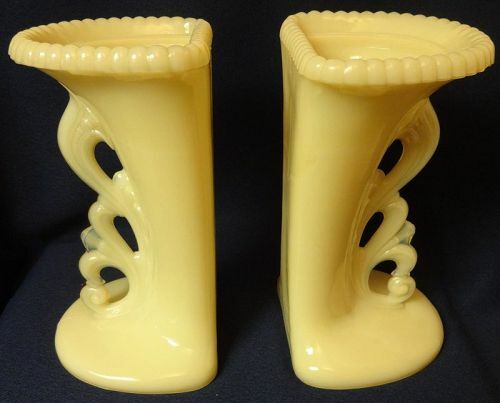 This individual pair of candlesticks are in great shape. Thanks for looking. 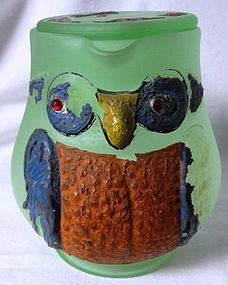 New Martinsville Glass Company made this 4.75" owl guest set. The decoration is coming off the glass. The glass has no chips or cracks. Thanks for looking. 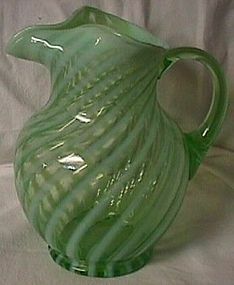 Fenton Glass Co. made this Spiral Optic pitcher in 1939. 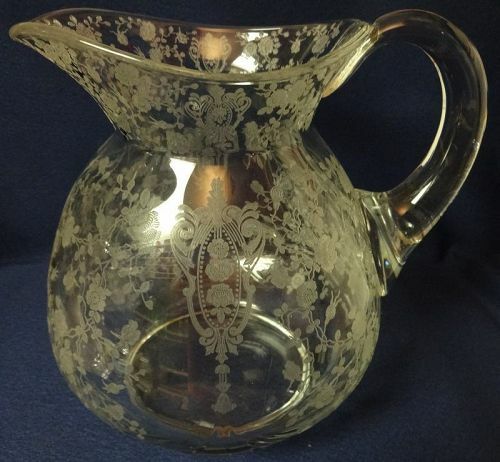 This 9" pitcher is in great shape. Thanks for looking. Royal Lace Cobalt Pair Shakers Hazel Atlas Glass Co.
Hazel Atlas Glass Company made Royal Lace from 1934-41. These shakers are in great shape. Thanks for looking. Hocking Glass Company made Cameo from 1930-34. This 5.75" vase is in great shape. Thanks for looking. Aladdin Mantle Lamp Company made the Corinthian from 1935-36. This lamp is in great shape. It comes with a B burner. Thanks for looking. 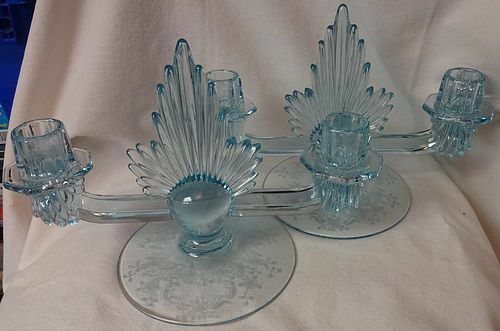 Fostoria Glass Company made this pair of Meadow Rose Candlesticks from 1936-39. There are no chips or cracks in the glass. Thanks for looking.